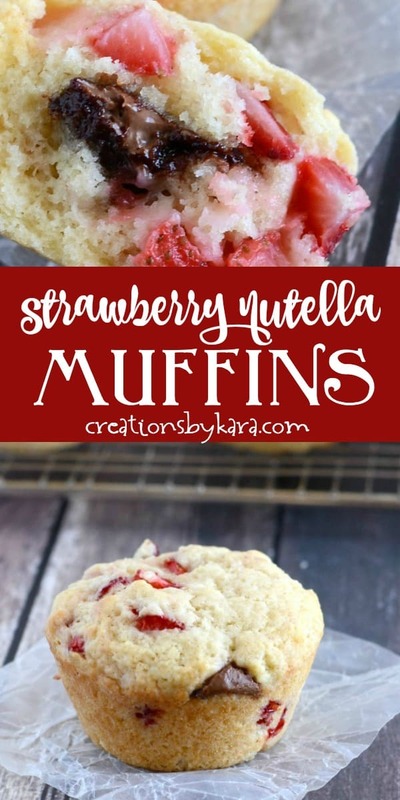 Strawberry Nutella Muffins – light and fluffy strawberry muffins stuffed with Nutella. 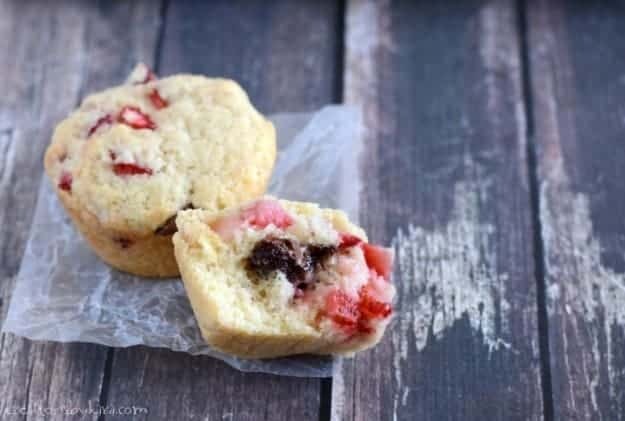 A muffin recipe that is sure to become a family favorite! Everyone in my family loves Nutella , so anytime I can incorporate it into a baked good, I know I’ll have an instant winner. These muffins definitely fell into that category. I should have made a double batch, because even though I served them with fruit and scrambled eggs, everyone was asking for more! I found the recipe for these strawberry muffins at Two Peas and Their Pod a few months ago, and I finally got around to making them. I am so glad I did! Think chocolate covered strawberries in muffin form. Serious yummy-ness going on people! 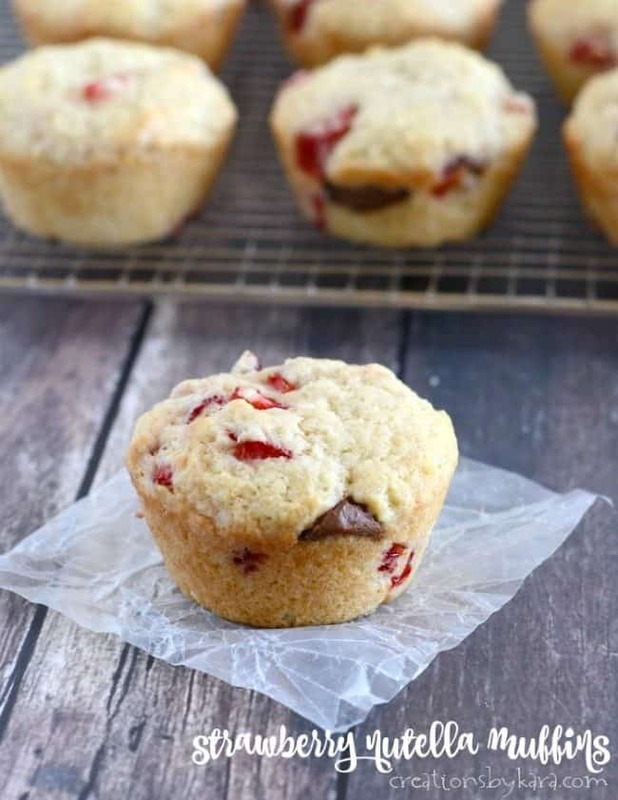 It is so fun to serve these tasty muffins and see people’s reaction when they bite into that decadent pocket of Nutella . Who doesn’t love a gooey chocolate surprise? We definitely like them best served warm so the Nutella is oozing out. Mix flour, sugar, salt, and baking powder in a mixing bowl and set aside. Whisk together oil, egg, buttermilk, and vanilla. Gently stir into dry ingredients. Fold in strawberries. Fill well greased muffin cups half full with batter. Place a spoonful of Nutella on top of the batter; then cover with remaining batter. Sprinkle tops with sugar if desired. Bake at 350° for about 17-20 minutes. Strawberry Huller – These make removing strawberry stems so easy, and I waste less then when I use a knife. Muffin Tin – I love my non-stick muffin pans. I’ve had them for almost 5 years, and they still work like a charm, even though I wash them in the dishwasher. Tender muffins with chunks of fresh strawberries and ribbons of Nutella. Mix flour, sugar, salt, and baking powder in a large mixing bowl and set aside. Whisk together oil, egg, buttermilk, and vanilla in a small bowl. Gently stir into dry ingredients. Carefully fold in chopped strawberries. Fill well greased muffin cups half full with batter. Place a spoonful of Nutella on top of the batter; then cover with remaining batter. Sprinkle tops with sugar if desired. Bake at 350° for about 17-20 minutes. Let cool in pans for about 5 minutes, then remove to cooling racks. If you really love Nutella and want an even more decadent muffin, you can add even more to each muffin. 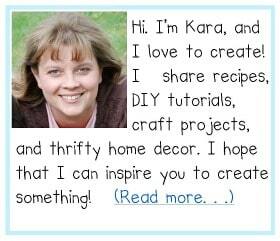 To see all my muffin recipes, click HERE. 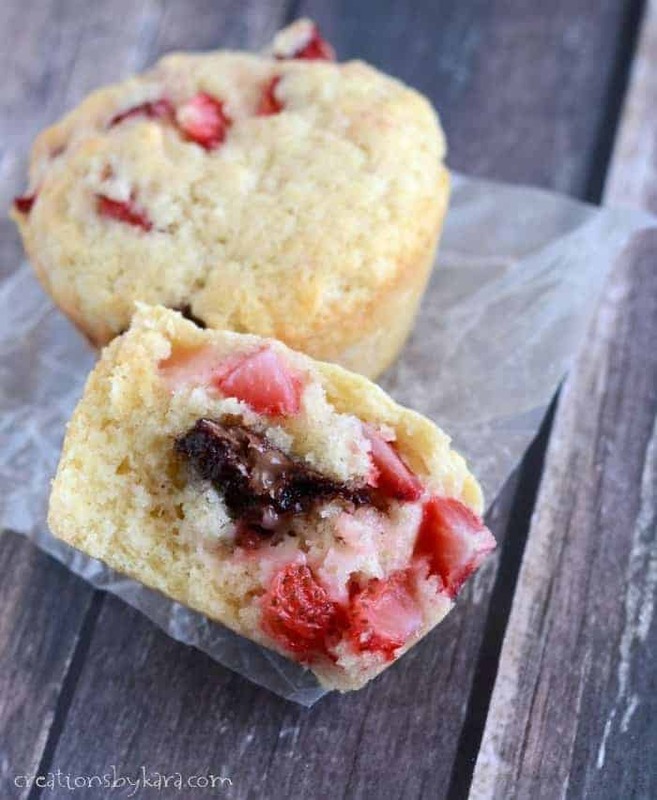 The pocket of Nutella inside these strawberry muffins is so good! I can’t wait to make them again. These muffins are fabulous! Our kiddos love them! I am so happy to hear that Anna! Strawberry and Nutella is such a great combination! My girls are going to love these! My kids eat Nutella straight from the jar, so they’re going to love these! Haha, yes – that’s what my kids do as well! I did find the strawberries and made the muffins. They tasted wonderful! (They are all gone.) They didn’t look very good though. They didn’t raise up but had muffin tops that spread out and they wanted to fall apart very easily. I checked and my baking powder was fresh. I think I should have made 10 muffins instead of just 9 but as I said, they tasted wonderful! These look really good! I love Nutella but I may be too late to find any fresh strawberries around here. So glad you liked the muffins! Yay!